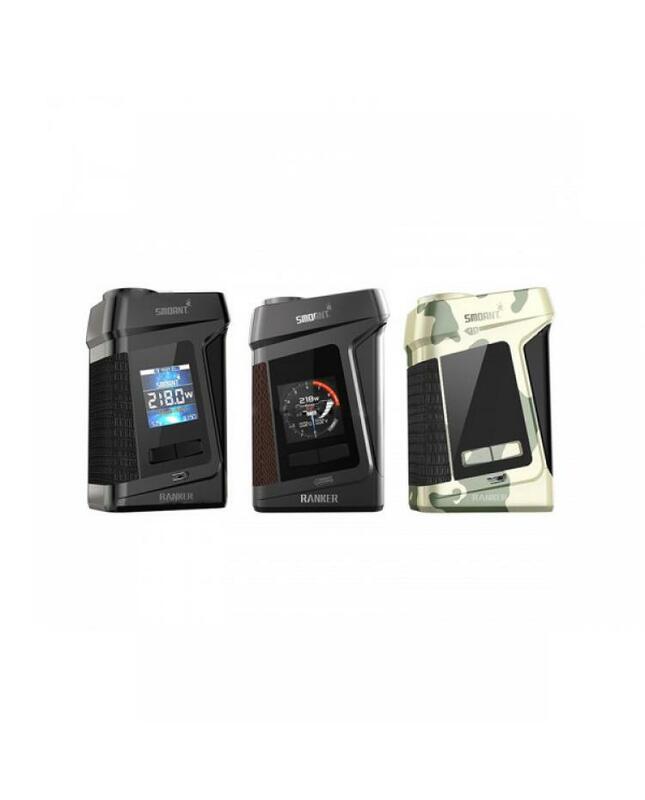 Newest smoant ranker 218w TC vape mod, made of high-quality leather and zinc alloy material, three fashionable colors available, the new smoant vape mod powered by dual 18650 batteries and max output 218watts, supports resistance as low as 0.1ohm in VW working mode or 0.05ohm in temp control mode. the ranker mod with big fire key like g-priv 2 mod, which will provide you special and cool using experience. 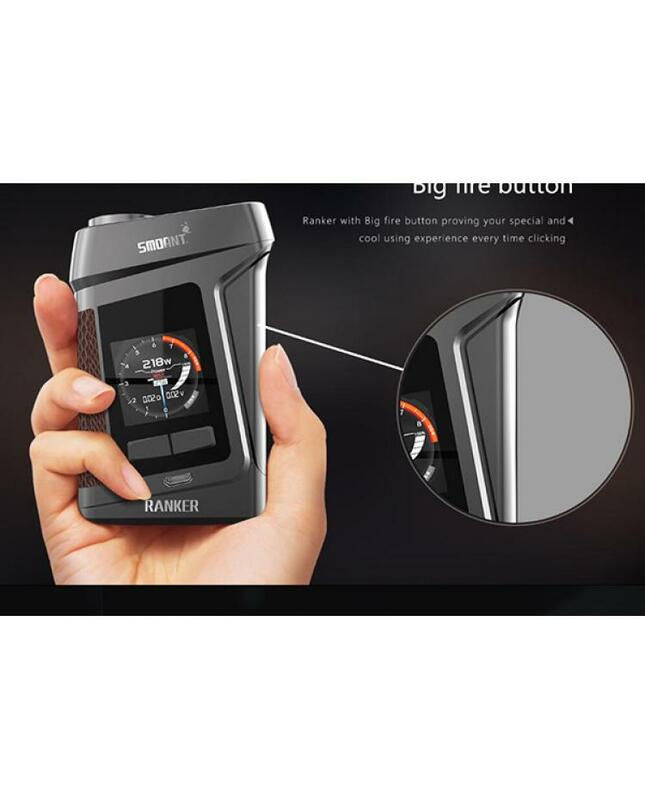 the ranker TC mod features one large 1.3inch TFT screen, vapers can easy to see the vaping data, two different UI options to choose, vapers can customize the wallpaper. the new smoant mod utilizes the ant218 v2 chipset with the faster response when firing, can fire virtually instantly in only 0.015 seconds, which means it can be fired instantly, the chipset is upgradeable. 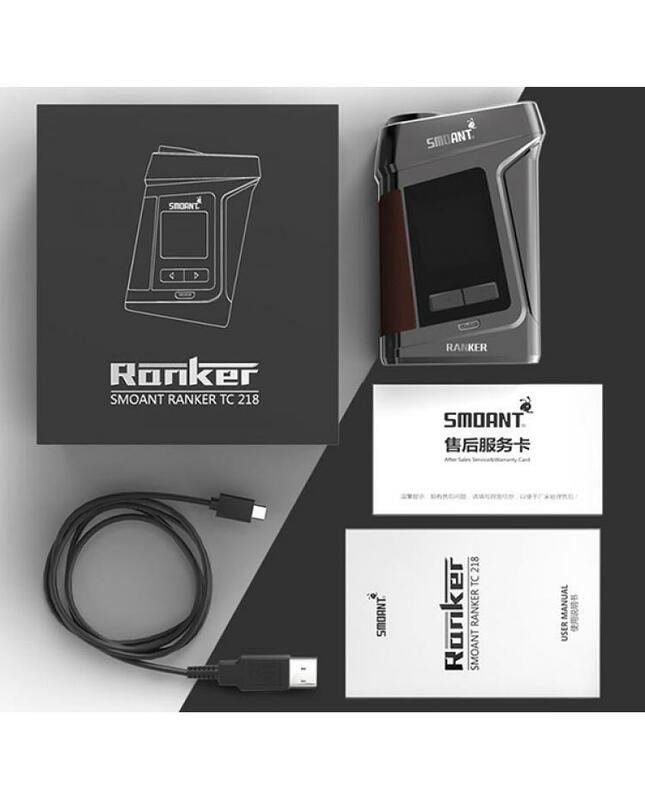 the smoant ranker mod with multiple protections to ensure vape safe and reliable. recommend works with TFV8, TFV12 prince etc.